"Mad Men" Review: "A Day's Work" (Season 7 Episode 2) - "The most tedious wireless program I've ever heard..."
The seventh and final season of Mad Men continues with its second episode, “A Day’s Work,” and just as always, I have an in-depth review and analysis of the hour for your reading pleasure. To do the episode justice, this review contains spoilers – as always, do not read unless you have seen the episode. One of Mad Men’s greatest qualitative strengths has always been its remarkable consistency, providing roughly the same level of excellent and thoughtful writing, acting, and directing week in and week out for the past seven years. There are a few episodes conspicuous for either their all-time greatness (“The Wheel,” “Shut the Door, Have a Seat,” “The Suitcase,” etc.) 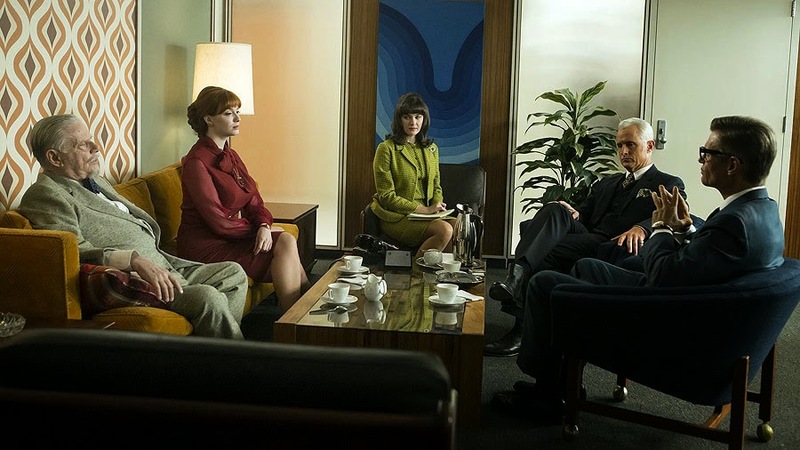 or their relatively underwhelming nature (“Tea Leaves”), but for the most part, Mad Men isn’t a series that can be distinguished or discussed on the basis of ‘good’ or ‘bad’ episodes. Mad Men is simply Mad Men, and Mad Men is terrific, meaning most every episode is also terrific, even if some are more or less satisfying and discussion-worthy based on where they land in the peaks and/or valleys of the narrative. “A Day’s Work,” as it happens, is the first episode of Mad Men I would call flat-out erratic, neither consistently excellent nor consistently disappointing, but instead boasting some truly fantastic and surprisingly unappealing subplots side by side, in a way that is decidedly uncharacteristic for this series. The central theme of the episode – the nature and complications of shifting power dynamics among the characters, and how making power plays with one another prevents these people from actually confronting their most deep-seated issues – is a good and interesting one, the perfect subject to base an episode around at this late stage in the series, and yet the execution is spotty. Peggy’s subplot, in particular, is the single worst, most out-of-character, off-putting and nonsensical story Mad Men has told across all seven seasons. Peggy, still seething over Ted’s romantic betrayal last season, mistakes her secretary Shirley’s flowers for her own, assuming they came from Ted as a half-hearted gesture of reconciliation. This only makes Peggy angrier at Ted than ever, as she leaves petulant messages for him and takes her anger out on Shirley, who is herself wondering how to get the flowers back, since they were from her fiancé, and oh my God is this actually a subplot on Mad Men? As much as the story fits with the themes of the episode – Peggy feels powerless in her relationship to Ted, the flowers become a symbol of power, and the more she projects onto them the more horribly she treats Shirley – it feels almost comically petty and immature for a series that usually treats its characters with a whole lot more weight and thought. This is a thin subplot at absolute best, and the moment one starts to pull at any of the strings, it all falls apart, because the Peggy we have known for seven years now would not, under any circumstances, act this way, especially not for feelings of romantic resentment. Peggy is better, smarter, and more mature than this, and while I can understand her still feeling angry with Ted, I don’t see that anger so completely consuming her work, nor pushing her to a place of taking it all out on a secretary who did nothing wrong. That’s something Don might do at his worst, and while there have been many parallels over the years between Don and Peggy – the general arc being that the higher up the ladder Peggy climbs, the more characteristics she shares with her once-mentor – I don’t understand why this specific situation would cause Peggy to act like Don at rock bottom. And, again, this was an entire subplot constructed around the symbolic significance of a bouquet of roses. I cannot stress the silliness of this enough. 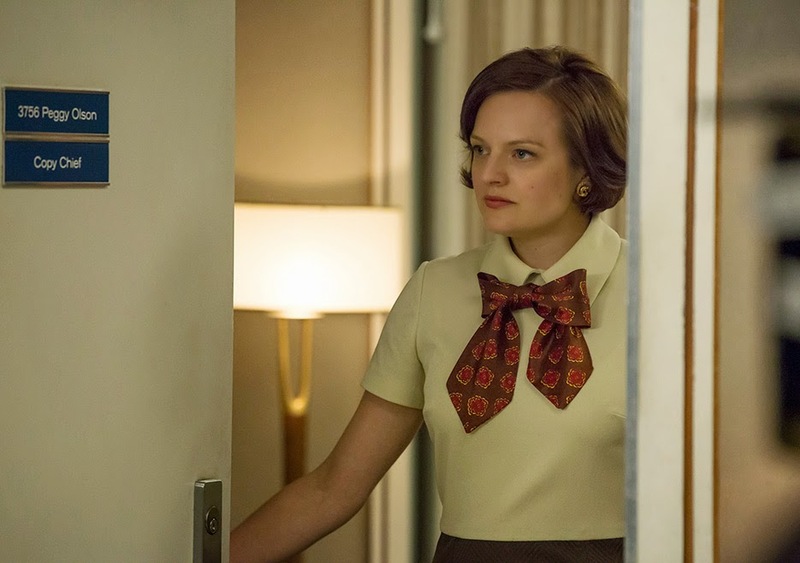 Moreover, I really hope Matthew Weiner and company have bigger plans for Peggy this season than seething over Ted, because Peggy is, at her best, the show’s most entertaining and compelling character, and reducing her to a scorned, petulant girlfriend, who rages at her secretary without a scrap of logic, wastes both the character and Elisabeth Moss’ excellent performance. Last week’s episode gave Peggy several different shades beyond her irritation with Ted, prioritizing professional frustrations above personal ones, and if the Ted-based angst is just one small part of her larger characterization, I think it could stand to be interesting. But pushed to the forefront at the expense of everything else, this storyline feels entirely out of character, and turns Peggy into a pretty broadly unappealing character. Hopefully the show course-corrects with her next week, because if not, I may have to start getting worried about where they are taking my favorite Mad Men character during this final season. The material with the secretaries, Shirley and Dawn, was of a bit more interest, as we see how the shifting power dynamics of the office at large are writ small in the ways both secretaries refuse to take mistreatment lying down. Dawn exerts more power than Shirley in how she directly confronts Lou Avery with his own hypocrisy – Lou’s cruelty and incompetence is such that I wonder why the agency tolerates him, though that’s an entirely separate discussion – but Shirley’s decision to tell Peggy about the true origin of the flowers, rather than just throw them away, is an important piece of assertion as well (even as the dramatic effectiveness of the moment is hampered by the overall silliness of the flower story). At this point, any subplot with Dawn is inherently limited by the lack of attention and development the character has received in the past (and I don’t believe we’ve seen Shirley before at all), but I think this is a step in the right direction, and if the intention is for her to be an increasingly important figure over the rest of the season, then this subplot may feel more significant in hindsight. The actual office politics this week were several magnitudes more interesting than anything involving Peggy or the secretaries, as we start to see how the agency’s new bi-coastal status quo has put everyone in a position to try stealing ground from everyone else. Inconsistent as it was on a writing level, Michael Uppendahl directed the hell out of this episode (with prior credits including “Christmas Comes but Once a Year” and “The Beautiful Girls,” Uppendahl has a penchant for finely organized office chaos) and nowhere was that more apparent than in the conference call between the East and West coast partners. Each coast has its own overall intentions (Ted and Pete want credit for the Chevy deal, and go-ahead to start working on it, while the East coast partners want to play that deal closer to the vest), but so does every individual partner on the call; Roger and Cutler have entirely different conceptions of what to do, while Ted and Pete disagree in how intensely they want to push the point, and both groups are strategizing with each other silently between bursts of dialogue. Especially when the erratic conference call technology is factored in, it’s a stupendous, pleasingly energetic sequence, lively and multi-faceted, and you can practically feel the weight of the power dynamics shifting back and forth, over and over again, as the call goes on. From there, much of the episode seems to be setting up stories for later on. Pete’s frustration over having another account stolen (and given to manipulating mother-killer Bob Benson, of all people) makes him suggest Ted and he strike out on their own, while Cutler, in an apparent power play against Roger, suggests Joan devote herself to accounts full time, an appealing notion given the volume of secretarial conflict in the episode. We leave two characters with new status quos – Joan will be working with clients full-time now, while Dawn has seemingly taken Joan’s old job (a position that keeps her invisible, as per Cooper’s extraordinarily racist wishes, but also gives her significantly more power) – and everyone else in flux, with the relationship between Roger and Cutler seeming particularly strained. It’s an intriguing piece of allegorical musical chairs, and I suspect these power dynamics are going to continue to remain in play as long as all these people are ready and willing to play the game. Such power games only further reinforce what a toxic environment the agency has become, though, and it’s no coincidence that the only characters to make any significant breakthroughs during the episode are on the outside looking in. Don continues, as we saw last week, to try working his way back into the agency (here employing Dawn as a partially-willing informant, and taking meetings with other agencies), but those actions only have him running in the same status-quo circles he’s long been stuck in (trying to write copy during the day, Don is instead only able to watch TV and eat junk food). But stepping away from work-related concerns for the day to take care of Sally, who has intentionally stranded herself in the big city after going to a funeral, allows him to discover something about himself and his father/daughter relationship he would never have hit upon otherwise. Don’s initial instinct with Sally is to start playing power games with her – the first thing he does upon walking in the door is lie to her about where he was – and Sally, truly her father’s daughter, does the same (notice also that, in her first scene, Sally smokes exactly the same way Betty always has – she is truly her parents’ child). Like the conference call sequence, this is just a masterfully structured bit of power grappling. Sally knows that Don has been fired, having visited the office before coming to the apartment, but Don doesn’t know what Sally knows; but then Don gets a call from Dawn, and now he knows exactly what Sally has discovered, but Sally doesn’t know he knows. Again, the power dynamics are swinging back and forth, rich and fluid, and it’s fascinating to watch, even as we know that Don desperately needs to drop all pretenses and simply level with Sally if he ever wants her to love him again. Amazingly, that’s exactly what Don does, and while “A Day’s Work” depicts a lot of breakthroughs in Don and Sally’s strained relationship, the single biggest one may be Don’s whispered “I’m sorry” in the car. Sally has just vented about the stress and horror of seeing Don cheat on Megan last season – from the episode “Favors,” the events of which took place at the lowest point of Don’s rock-bottom descent – and while Don couldn’t muster the basic humanity to be direct and honest with her then, he clearly feels regret about it now. The way Jon Hamm delivers the apology – not just whispered, but almost subliminal, like the words escaped from his mouth instinctually, based on emotion, not thought – speaks volumes, and it clearly shakes Sally as well, who probably expected her father to fight back, rather than admit fault. It’s a simple confession, but given Don’s seemingly pathological need to deceive those closest to him, it means a lot, and there is plenty written in-between the lines. He doesn’t need to give Sally the detail of the fateful Hershey pitch that cost him his job – merely by implying she already knows the truth, which will certainly conjure memories of the trip to the dilapidated brothel, gives Sally the full picture. More importantly, Don isn’t making excuses, or asking for forgiveness – he’s admitting that he did something wrong, that he was in a dark place and couldn’t control his emotions, and he’s making that admission to someone whom he has hurt deeply. That is progress, plain and simple, and when Sally follows up by asking about Megan, Don continues to be honest in telling her how fraught and conflicted the situation is, about how he would like to make things up but is unsure if he can. This is our biggest demonstration yet that Don is cognizant of his own problems and has the desire to confess them, and while it seems to take a great deal of weight off his shoulders – look at the smile on his face when he fools Sally with the dine-n’-dash joke – it improves his relationship with Sally immeasurably. Not that the two have suddenly grown incredibly close – even at their best, Don has never had a great relationship with Sally – but Don’s confession makes her a little bit warmer immediately, and when she goes to call her friend from school on the payphone, she no longer feels like pretending to be someone she isn’t (in contrast to the opening scene, where Sally is clearly trying to blend in with the other students). Sally even makes her own confession to Don – “I’m so many people” – which Don, having dealt with this problem plenty in his own life, seems to instinctually understand. “Happy Valentine’s Day. I love you,” Sally says when they finally reach the school. It’s hardly the warmest of goodbyes, and there is clearly still tension at play here, but Sally’s words hit Don like a ton of bricks. I’m not sure how to read Don’s conflicted visage at the episode’s end; he could be surprised at how much Sally’s attitude has changed, unprepared for how much their exchanges over the course of the day made a difference, or he could have been forcibly reminded, in the moment, of what his responsibilities towards her are moving forward, and how he needs to be this honest and open with her (and everyone else) from now on if he is to truly improve his life. 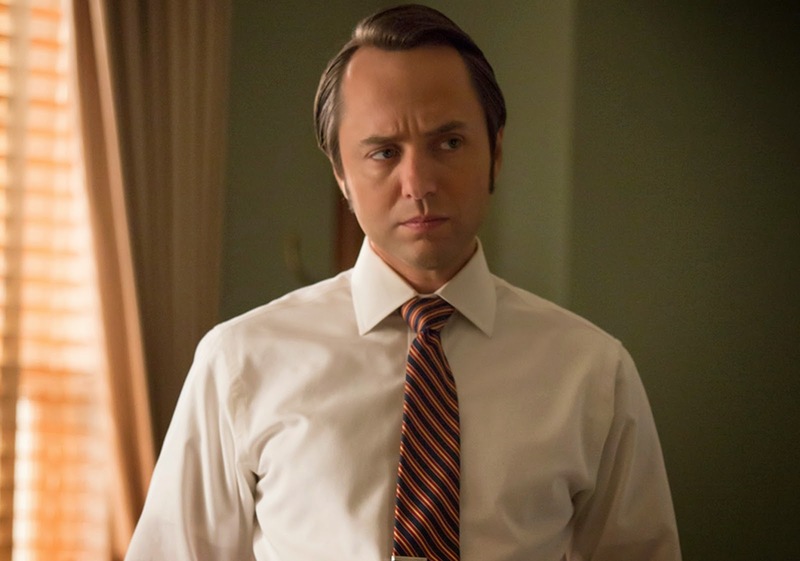 The moment is intentionally and beautifully ambiguous, and while I still wouldn’t want to bet money on Don turning his life around, it is clear, between this episode and the premiere, that Don is trying to set himself on a better path, to make meaningful change in lieu of superficial ones. Whatever else is going on in his life, this encounter with Sally was meaningful. If Don has the strength to apply this level of honesty and emotional vulnerability in all other areas of his life, he might just stand a chance. I read your comments about Peggy. I, as a woman in her 30’s who works in a very demanding industry, can completely relate to Peggy and understand her behavior this episode (but do not condone it). There is a lot more going on than “ an entire subplot constructed around the symbolic significance of a bouquet of roses"
You write "Peggy feels powerless in her relationship to Ted” What relationship? They are not in a relationship at all. That’s the point. Peggy tells Shirley to “Grow up” but really, its Peggy who has to grow up. She was playing childish games and creating soap opera type story lines in her head about Ted all day. It’s because for all of her work experience, she has never really dedicated that energy or vulnerability to her personal life. Ted loved her for her - the POWERFUL her (something she had never experienced) The only person she really loved whole heartily was Ted and he broke her heart. Thank you for your extremely thoughtful response. I absolutely understand where you're coming from - I think all those ideas are valid, and had the episode presented them in an executionally interesting way, I think this could have been a compelling subplot. My problem isn't so much the themes at play, though - as I say, Peggy's story is totally in keeping with the episode - so much as the execution, which was really off for me tonight where Peggy was concerned. I think the entire subplot was underdeveloped and overly broad, and Peggy came out looking like someone she isn't. Even if she's feeling all of this (and I don't personally believe Ted's betrayal would have messed with her quite this much), I don't think she would treat her secretary like that, which was my major problem here. Again, if the episode were as thoughtful in presenting its ideas as your comment here was, I think it could have been much more compelling. But I think what we're given is just too thin and broad to work. It's just my two cents.